With all of the snow we've been getting we could not miss out on the opportunity to go sledding with the kids. 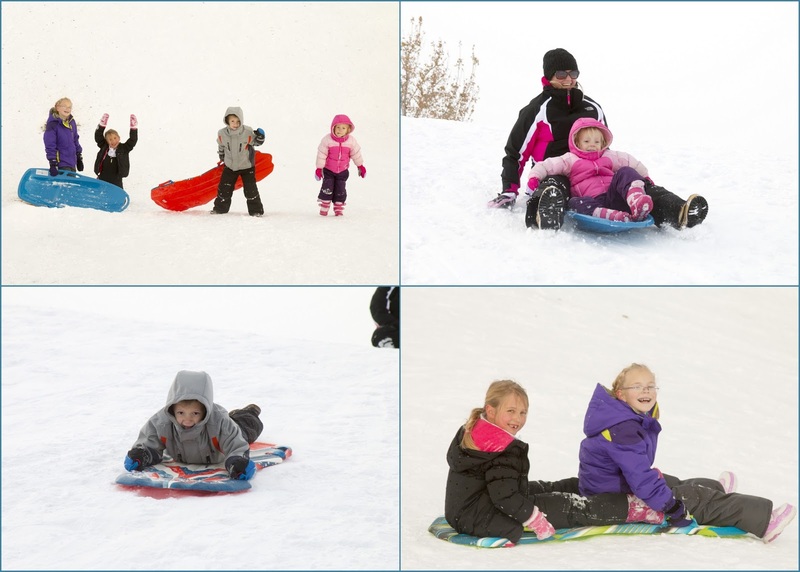 They had a short day of school on December 18th so we decided to take advantage of the fact that most other kids were still in school and met up with a friend at Umbria Estates park. The park has a empty detention pond. The rim of the pond gradually slopes down to the bottom on one end and becomes more and more steep as you travel along the edge. I need to invest in some ski goggles for the kids. Their faces always get super covered with snow. After a few runs on the sled Stella decided to just slide head first on her stomach - like a penguin. Hiking back up after a run gave me a workout for the day.